When Douglas Silva was five years old, his friends joked that he had lost his hearing because of a blow to his head. Through his life, he has endured the limitations of hearing loss, something that nevertheless has never stopped him from doing what he wanted. Until he got to know the Seventh-day Adventist Church, he knew nothing about two things that changed his life — Brazilian Sign Language and Jesus’ return to this earth. Years after he joined the church, Silva decided to prepare to become an Adventist pastor. He holds a degree in theology from Amazonia Adventist College and now serves as a church pastor in the Paulistana Conference, one of the Adventist Church’s administrative regions in São Paulo. 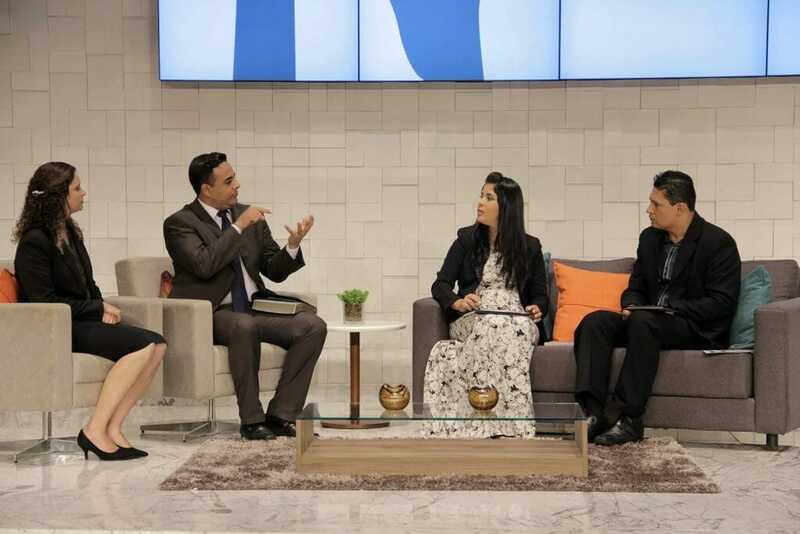 Silva recently shared some of his challenges and achievements as the first deaf Seventh-day Adventist pastor in Brazil. How did you get to know the Seventh-day Adventist Church? In my family, we were not Seventh-day Adventists but were very religious, and usually went to church on Sundays. Back then I didn’t know sign language, and I communicated through lip reading. At 14 I met Jorge Luiz, a teacher at my school who invited me to meet a group of deaf people on Saturdays. I accepted the invitation, and he introduced me to a group of deaf people and sign language interpreters from what is today Brazil Adventist University Academy in Hortolândia. During the Saturday church service, I noticed that listeners (as the hearing impaired call people who are not deaf) were moved by the message of the pastor. The deaf seemed moved too, since someone was interpreting the sermon. For me, however, lip reading was difficult. The pastor paced back and forth, keeping the mic close to his mouth, and the pulpit was far away. That day I felt the need to learn sign language. I asked a deaf man, Fagner, to teach me this new language, and in just three months I was already communicating with everyone in the group. It was a great achievement for me because at last I was able to communicate and receive clear information when reading people’s lips. I felt more free to communicate, without fear of being misunderstood. And of course, by God’s grace, I finally was able to understand the preacher’s message, which led me to become more interested in the Word, to receive Bible studies, and eventually be baptized. It’s hard to believe that before that, I did not even know that Jesus had promised to come back. But when I did, I was affected by hope! Why did you choose to become a pastor? Since I was a child, I had wished to become a missionary, to know different cultures and languages. After my baptism in 2004 at age 17, I began to be actively involved in the Sabbath School Bible studies for the deaf. I also visited deaf people and started to give them Bible studies. And when I finally decided to follow theology studies, I had the support of my family, Deaf Ministries, pastors, and people in business who believed in my ability. It encouraged me a lot. Today my dream has come true. I’ve had the opportunity to travel and meet deaf people from many different countries and to preach the Word of God to them. It is a unique feeling to go through common struggles that every missionary goes through, including communicating in a different language. Yes, that’s right, sign language is not universal — it varies widely and is very different from the language spoken. It is so much so that, for instance, for us deaf people it may be easier to communicate in German Sign Language than in Argentinian Sign Language. Despite all this, I feel that God has guided me and blessed me throughout this journey. How did you manage to attend regular classes? Did you have an interpreter? When I learned I had been accepted at the school, I asked God to lead me through the whole process. And I witnessed many blessings in my life. My first interpreter was Joel Rodrigues, whom I met on the first day of school, and who was also a student in my class. We studied together for four years. Today, Rodrigues is a pastor in Cametá, in Pará State, Brazil. We are still in touch. The one who deserves to be remembered as my interpreter, however, is Nazaré Aires, who for three years voluntarily interpreted my theology classes. On the day of my graduation, she received special recognition from my class and the school for her wonderful dedication. It was not only the interpretation part of the classes that needed to be adapted — often the teachers, who were very dear and dedicated, helped me in my pastoral development. Classes started to include more visual materials that helped me understand better, and the internships I did were with deaf members in various churches. I felt very well treated and respected. How is a day in your life as a pastor? Do you take care of a specific deaf community? I am a pastor at the Paulistana Conference. It is the area in Brazil with the greatest deaf population. At the regional church headquarters, I have an office where I work with an interpreter and another deaf person doing projects, planning events, and preparing resources for Deaf Ministries. On Sabbaths, we have a Bible class for the deaf in the Central Paulistana Seventh-day Adventist Church with 35 members. We offer Bible studies and training, for instance, for a Health Fair for the Deaf. Also, I am involved in social projects for the deaf community, including deaf schools (we have six), and a Deaf Veteran Friends Society (SASV). Can you share some of the challenges you’ve had to face in your ministry? As a pastor, I have lived moments of intense difficulties in my ministry. I have had to minister in complicated settings, such as with deaf drug addicts, people who have been sexually abused by family members, or who are harassed and exploited at work. I have dealt with deaf people who are going through extreme financial challenges, who suffer depression, or who are on the verge of suicide. And in many cases, they have not been able to gain access to the resources the Adventist Church has prepared to help them meet these challenges. And since each one has a specific problem, I often feel overwhelmed as I try to help them individually. Even as Adventist Deaf Ministries in Brazil is more developed than in other countries, what dreams do you have for this special ministry? Yes, I think the ministry is indeed a model for other regions. In South America, some exceptional people have worked hard to make Adventist churches more accessible to the deaf. And based on that, I’d rather not live daydreaming but from present concrete actions. And no matter if you are hearing impaired or not, if you have a heart for this ministry, remember that your contribution is irreplaceable. So, do not miss the opportunity to do good for others while there is still time!